Continental ContiCrossContact Winter Tires are engineered for on and off road driving in all-wheel drive performance vehicles. This winter snow tire is a studless tire designed for maximum speed and control in harsh winter conditions. The deep and wide tread grooves promotes excellent water displacement to resist hydroplaning and to self-clean by throwing off mud and stones that may clog less aggressive tread grooves. 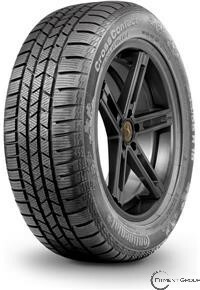 Continental ContiCrossContact Winter Tires are popular among consumers who need off road performance in the summer, and on road stability in winter conditions.